Halley station is now only occupied during the summer, and while that situation continues, there will be no more pages dedicated to a single year at the base. Automated technology to run the science through the winter is being developed. See Halley Automation. There will be no wintering party in 2019. 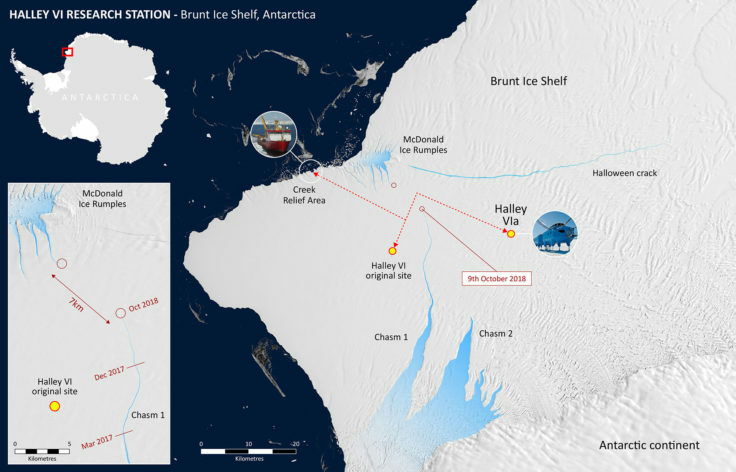 Satellite image of the Brunt Ice Shelf on 2 August 2018 which has been contributed by Vince Carter who has obtained it from the Polar view website. 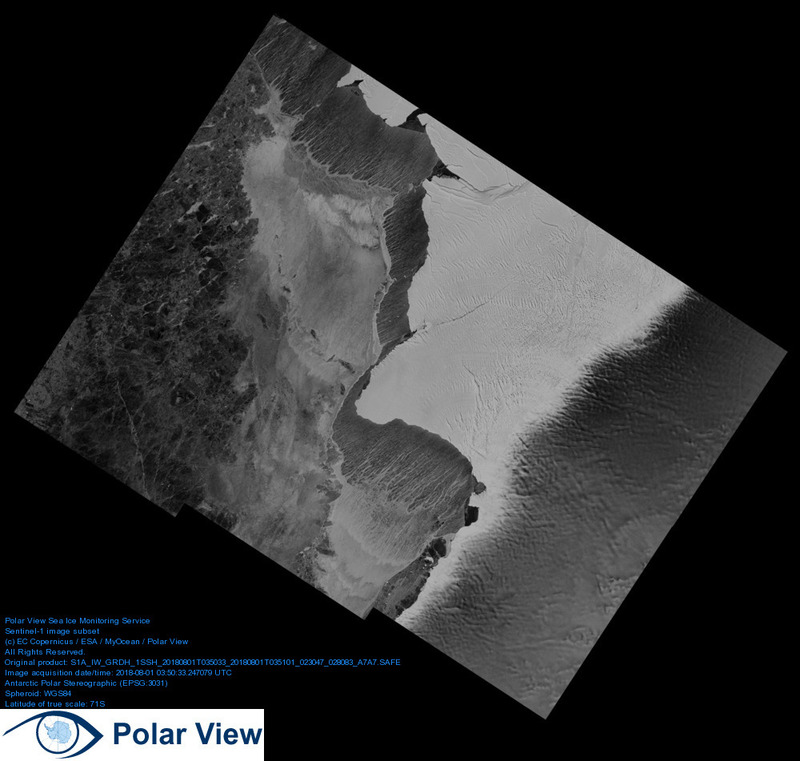 Vince says "The image dates from August 2nd and even this very low resolution image clearly shows both cracks in the ice shelf as well as many other interesting features - ice flow lines within the shelf, very young sea ice adjacent to the shelf, and even wind driven snow drifts on that new ice. The really high resolution images (50MB+) show an amazing level of detail, particularly when you expand and focus in on a small section of the overall image". Click on the picture for a larger image.